Gift Sets There are 7 products. Baby’s first solid food gets served in style with this lovely panda bamboo dinner set for babies. 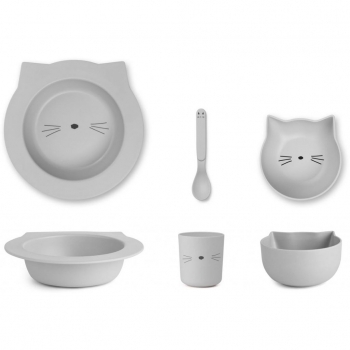 The set contains a plate, a bowl, a cup and a spoon and comes in a sweet box, which makes it the perfect gift.